delia derbyshire – Do My Eyes Look Scary? This EMS Putney came into my hands when I purchased it from Iowa City South East Junior High School in 1997. It is one of the unique artifacts of electronic music. 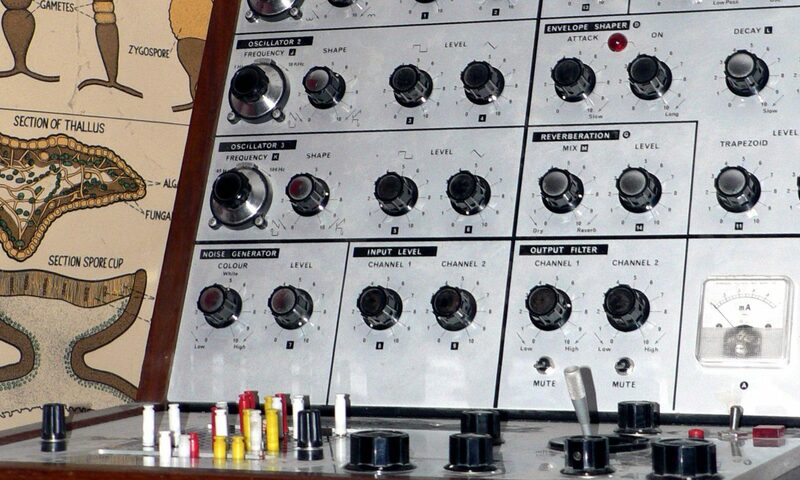 The Putney & it’s close relative, the attache-case-housed Synthi, were workhorse synths at the BBC Radiophonic Workshop, and was a favorite of musicians like Brian Eno, Pink Floyd, and other Space Rock bands of the 70s. It’s sonic character derives in large part from the cheapness of the design and construction. Moog Synthesizers were laboratory grade audio equipment; the Putney is cheap and difficult to use in a traditional musical context. And yet it was seductive. It’s limitations and imperfections enlarged musican’s ideas of what sounds could be musical. Delia Derbyshire was one of the pioneers of electronic music during and after her tenure at the BBC Radiophonic Workshop. She was both a gifted composer and an audacious and precise engineer. Since seeing her in documentaries, and hearing her music I’m both awed by her and have a synth-geek’s crush on her. She was on my mind as I recorded these pieces, and I dedicate them to her memory. The 5 parts of this piece were recorded in one evening, with no editing or overdubbing. The Putney was plugged into the Stereo Memory Man pedal, and the pedal was plugged into my computer. The only post processing applied was normalization. These recordings are as close to the original, raw sound of the instrument as I could make them.